An exceptional craftsman in Hawaii has taken Hawaii's most popular wood, genuine Koa wood, and carved the exceptional wood into a letter opener you won't want to hide in a desk drawer. Koa, the largest endemic tree in Hawaii, has an alluring deep brown and redish hue that kama'aina and visitors alike love. 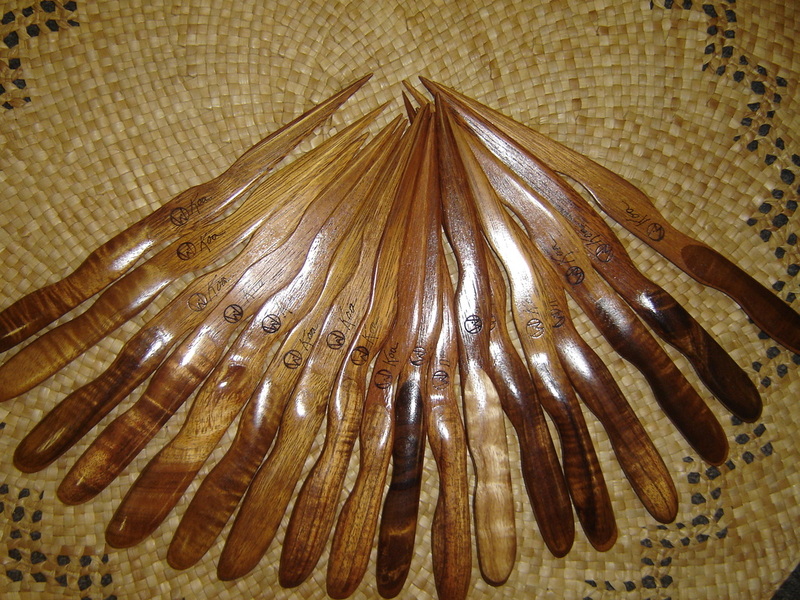 While Koa is by far our most popular letter opener, a large variety of other hard woods have also been used to create unique letter openers. 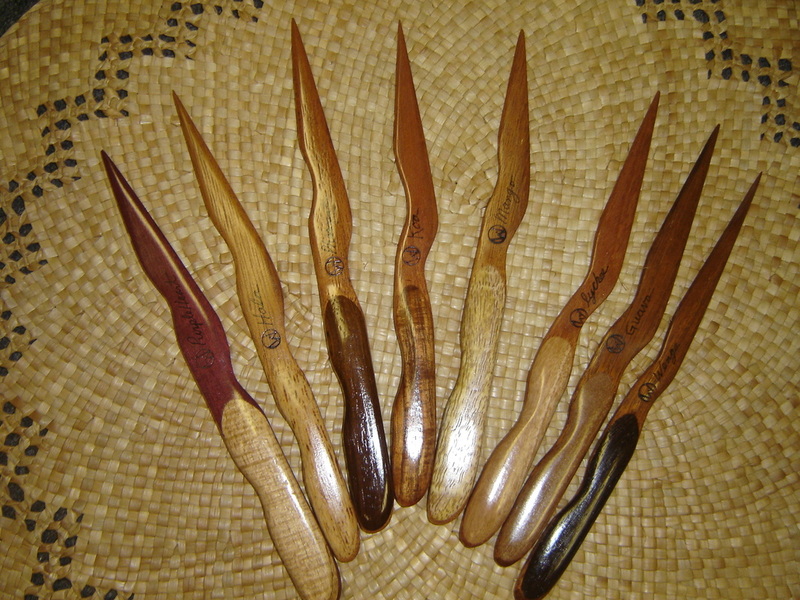 Purpleheart, Hala, Eucalyptus, Mango, Lychee, Guava, Wenge and many more species of tropical timber letter openers are available. Contact Robyn at Robyn@LauhalaTrading.com or (808) 949-7371 to learn more about Lauhala Trading letter openers or to place an order.